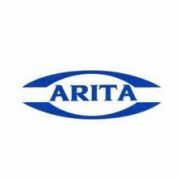 Arita Engineering was established in 1994, to serve the local market in the distribution of valves and piping equipment and spares, and undertaking of engineering projects relating to the local valves and piping industry. Arita Engineering is a wholly owned subsidiary of Unimech Group Berhad, a public listed company on the Main Market of Bursa Malaysia. We distribution of valves and piping equipment and spares, Also supply of valves, fittings, instruments and engineering services in Klang | Shah Alam | Subang Jaya | Petaling Jaya | K. L. | Malaysia.